What Information Do I Need To Provide In Order To File A St Louis Bankruptcy? There are definitely a few documents that will be needed in order to file a successful St. Louis bankruptcy!! But you are with an attorney who makes clear what all is needed (and keeps things organized for you), then you should be in good shape. We use this information to work up your bankruptcy schedules and forms that need to be filed with the court. Sometimes people will complain that the amount of paperwork is overbearing. But believe me, you do not want to file a St. Louis bankruptcy that in some way misrepresents your standing!! And you certainly don’t want to lose an asset (like a car or your home) because the filings were sloppy. To be honest, it is usually not until people reach the 341 Meeting of Creditors (the one and only required courthouse hearing that you’ll have to attend) that they fully realize why it was so crucial to make sure that the paperwork was done correctly. It is at that hearing that the Bankruptcy Trustee makes it perfectly clear how seriously the federal government takes the bankruptcy process. And that you could very easily lose your chance at a discharge because you did not disclose certain pieces of information. Of course, the whole goal of the St. Louis Chapter 7 is to get your debts knocked out! But in order to accomplish this goal, you need to hire an experienced St. Louis bankruptcy attorney!! 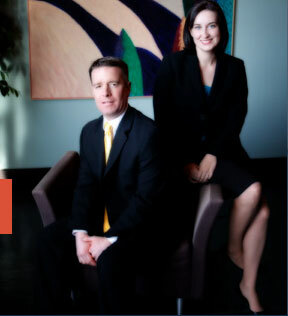 Our firm specializes in this type of law (with nearly 20 years of experience!!) We want to make sure all of your debt is discharged, all of your assets are protected, and that you fully understand how the entire process works (from start to finish).